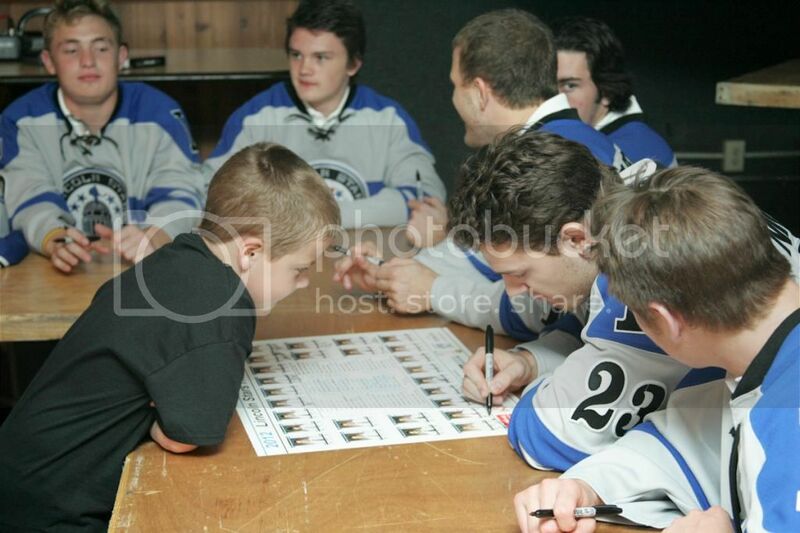 Just a reminder for all the fans out there, the BlueLine Booster Club's annual "Meet the Stars" event will be held this Wednesday, September 25th at the Lincoln Meadows Social Hall in Lincoln, NE from 6:00pm-8:00pm. The Lincoln Meadows Social Hall is located at 3235 N. 35th Street (35th and Cornhusker Highway area). Click here for a Google Maps image of the Lincoln Meadows Social Hall if you need directions. BlueLine Booster Club members will be allowed in at 6:00pm, and will be given a free team poster for the players to sign. Non-members will be allowed in starting at 6:30pm. Team posters will be available for purchase at $1 a piece for non-members. Food (BBQ shredded pork & kettle chips for $9) and drinks (soda for $1) will be available for purchase. There will be a cash bar, also. Prizes will be given away from the Lincoln Stars, the BlueLine Booster Club, and the 104.1 FM "The Blaze" radio station. Stars radio announcer Mike Melbye will emcee the event. Hope to see you all there! This is a great way to start the hockey season and fun way for the fans to interact with all of the players. For more info about how you can join the BlueLine Booster Club, please click here to visit their website.